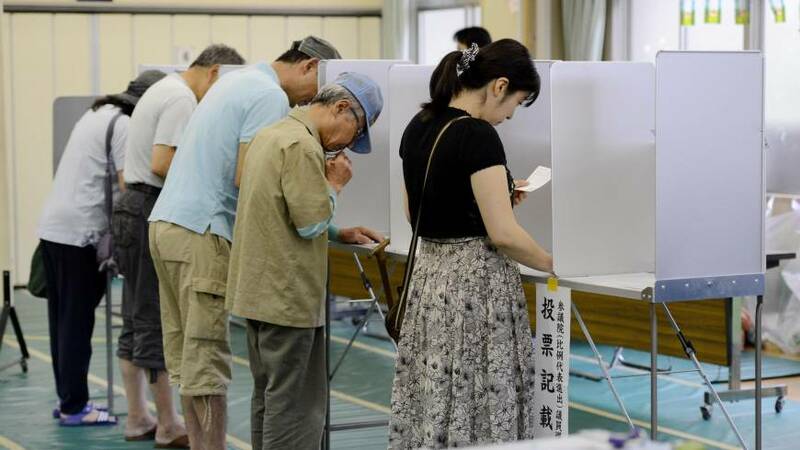 As the nation went to the polls Sunday to put new lawmakers in the Upper House, many people interviewed by The Japan Times in Tokyo said they were putting their faith in the Liberal Democratic Party, which returned to power just seven months ago. Many people said they had a positive opinion of Prime Minister Shinzo Abe’s economic strategy, while admitting it hasn’t made a tangible difference in their daily lives yet. 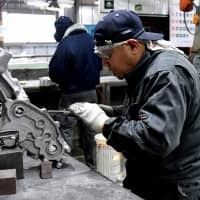 But they expressed hope that “Abenomics,” a mix of radical quantitative easing fiscal stimulus and promised reforms, will eventually improve the economy. He believes the LDP has been consistent with its pledges. “I think Japan has yet to break free of deflation. 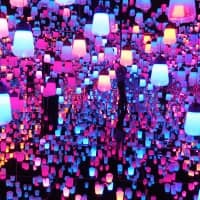 But I believe the LDP’s economic policies, if successfully implemented, will greatly help improve the nation’s entire morale,” Akasaka said. 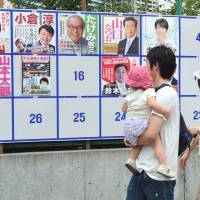 A 86-year-old resident of the Kichijoji district said he used to back the DPJ but voted for the LDP this time. 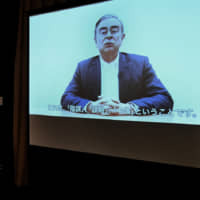 The man, who declined to be named, cited a parade of failures from the DPJ’s first stint in power from 2009 to December, and said he felt betrayed. 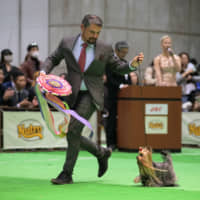 “Look how badly (ex-DPJ Prime Minister) Naoto Kan failed in containing the Fukushima crisis,” he said, pointing his finger at the man who was forced to deal with the triple calamity of March 11, 2011: The Great East Japan Earthquake, Tohoku tsunami and the meltdowns at the Fukushima No. 1 nuclear plant. The man also slammed Kan’s predecessor, Yukio Hatoyama. “Hatoyama not only failed to follow through on his vow to relocate the Futenma airbase (outside Okinawa), but he also recently said Japan had stolen the Senkaku Islands from China,” he said, referring to the uninhabited islets in the East China Sea driving the territorial row between Japan and China. Such views were echoed by a 42-year-old company employee in Shinjuku Ward who voted for the LDP both in the Tokyo district and in the proportional representation segment. In Minato Ward, a 70-year old woman who only gave her family name, Katsumata, said she’s voting for the LDP because she believes it is necessary to mend the divided Diet and stabilize politics. “I’m not a huge supporter of the LDP. But after seeing how difficult it has been to get bills passed, I believe we need to bring an end to (the “twisted” legislature),” said Katsumata, who also backed the LDP in December’s Lower House election. Although she has yet to see any positive effects from Abe’s economic policies in her daily life, Katsumata said she supports him because she believes Abenomics is creating positive flows in the long-stagnant economy. “Many, including those who have money, refrained from spending because of the dour mood dominating the nation. But now, more people are spending their money on things, like traveling,” Katsumata said. 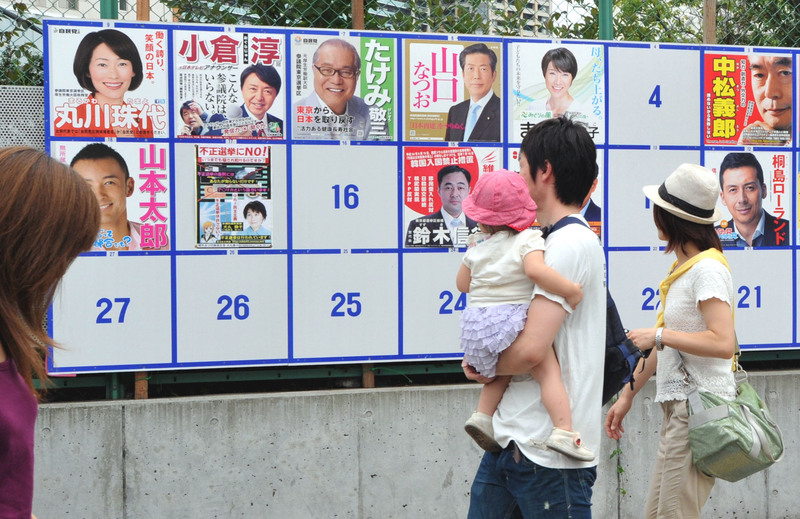 Some voters, however, said they supported the opposition camp because they didn’t want the LDP to win by a landslide. Saeko Nakanishi, 27, a homemaker in Minato Ward, said she actually hopes the divided Diet continues. Nakanishi said she cast her proportional representation ballot in favor of Your Party and voted for independent Masako Okawara in the Tokyo constituency. “The Diet should remain divided. I believe many different views of the citizens will be reflected by having different dominant parties” in the upper chamber, she said. Nakanishi said she is vaguely uneasy about Abe’s economic policies. She believes the reconstruction of the Tohoku region, still reeling from the disaster, is a must for the economy to improve. “I truly believe the nation’s real economic development will be achieved when the devastated regions are revitalized,” she said. Yoko Kuji, 61, an employee in Musashino, said she voted for the DPJ again. She has been in the DPJ’s corner since the 2009 election that dethroned the LDP, whose politics she criticized as opaque. 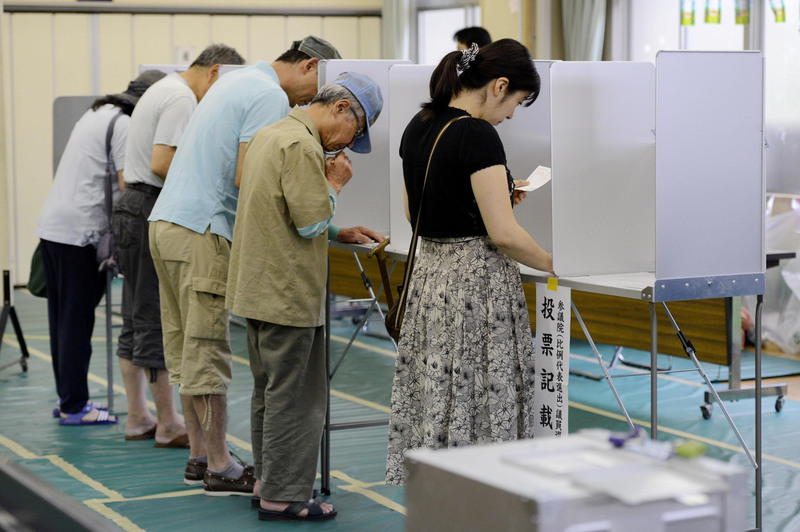 “It’s not like I see lots of hope in the DPJ’s arguments, but given that this election will probably turn into a sweeping victory for the LDP, I was hoping that my vote would act as a counterweight to the ruling party,” she said. “I have to say the DPJ’s three-year rule ended in a miserable failure. 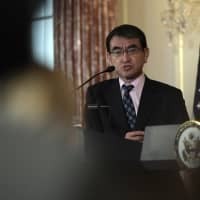 But I hope politicians in the future will learn from their mistakes and realize the grave responsibility involved in starting a new administration,” Kuji said. 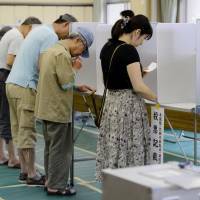 A 28-year-old employee at a foreign company in Musashino said her vote for the Tokyo electoral district went to DPJ lawmaker Kan Suzuki. While stressing that few policies advocated by the party strike a real chord with her, she said she was impressed by Suzuki’s record over the past six years. The woman said she also harbors strong anti-LDP sentiment, mainly over the party’s push to revise the pacifist Constitution. “I also feel like the LDP is using our taxes in a way that only widens the income inequality among the Japanese people,” she said. 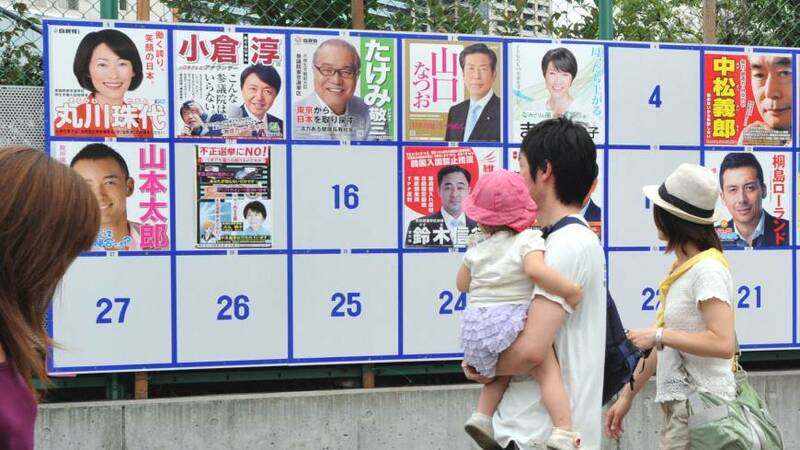 In Shinjuku Ward, a 61-year-old man who wanted to be identified only by his family name, Hirata, said he voted for Nippon Ishin no Kai (Japan Restoration Party) in the proportional representation segment, because he likes Osaka Mayor Toru Hashimoto’s outspokenness. 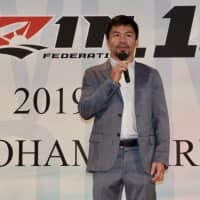 “I know Hashimoto has said a couple of weird things, which the media caught, and in Japan there’s a tendency to crush straight-talkers. So I’d like to support Hashimoto,” Hirata said. 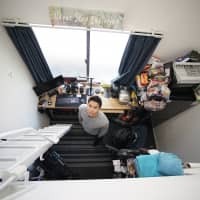 Hirata, originally from an island in Nagasaki Prefecture, said he wants politicians to protect Japan, as he feels the remote islands are facing serious threats from other countries.